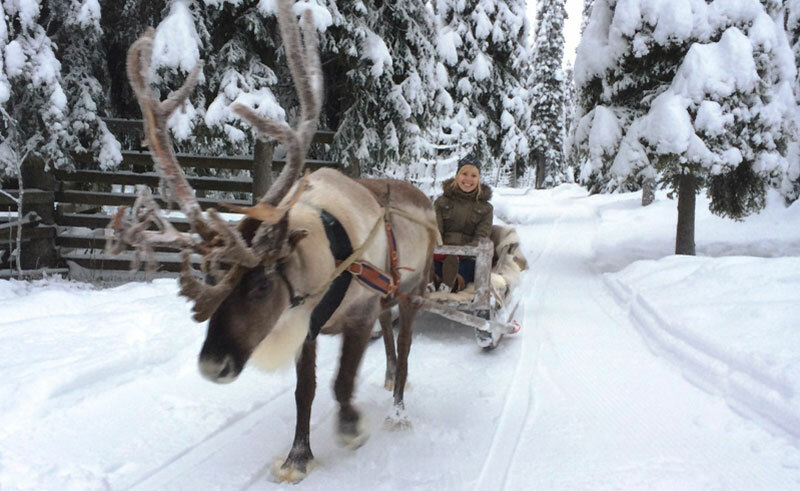 Based near the village of Ruka, one of Finland’s premier winter resorts, this short break has it all with superb log cabin accommodation, a great range of exciting activities and a chance to witness the northern lights. The high quality log cabins are the perfect choice for families and groups of friends travelling together, ranging from 3 bedroom to 7 bedroom cabins all with a beautiful setting surrounded by the snow-covered fells and forests of Finnish Lapland. 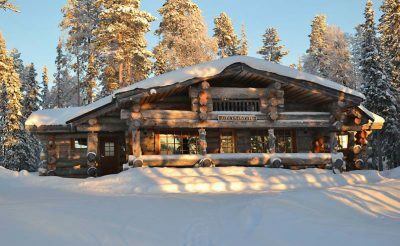 The fells, forests and frozen lakes surrounding Ruka provide a tranquil setting for a winter escape with a touch of luxury. On this holiday you can choose from a range of stunning log cabins and by spending several nights in such a pristine location, away from artificial light pollution, you’ll increase your chances of seeing the elusive aurora borealis. 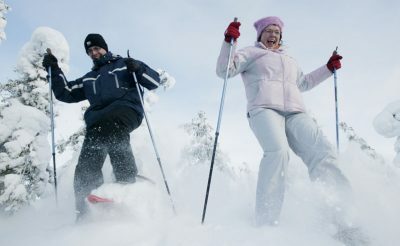 Ruka offers a wealth of winter activities, including snowmobiling, dog sledding, snowshoeing and cross-country skiing. 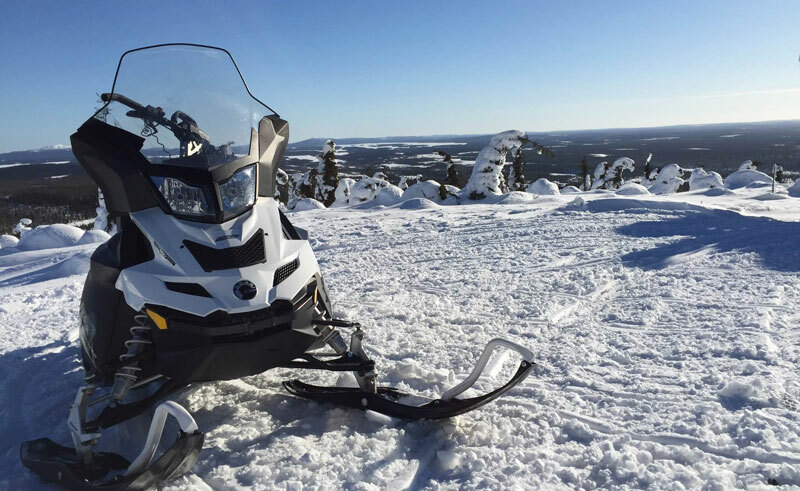 Popular choices are the snowmobile excursions which combine a visit to either a reindeer farm or husky kennels so you can sample two or three different activities in one go. 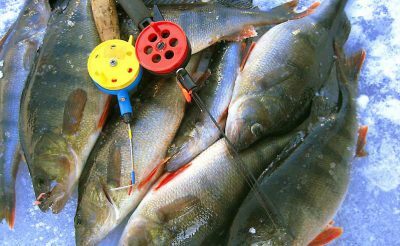 Activities can be booked in advance. The resort offers fantastic downhill skiing with pistes suitable for all abilities located just a short distance from your accommodation. Direct flights from London Gatwick to Rovaniemi with Norwegian air operate on Monday, Wednesday and Friday from December to April. 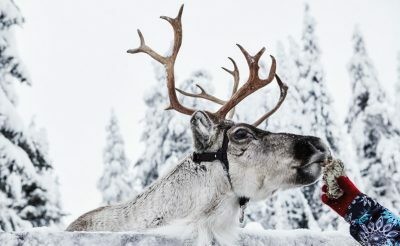 Coach transfers can be arranged to take you to Ruka (approximately 2 hours 30 minutes), removing the inconvenience of stopping overnight in Helsinki. 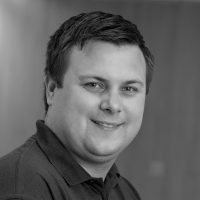 Indirect flights operate on Finnair schedule services from London Heathrow to Kuusamo via Helsinki. Due to flight connections in Helsinki it is necessary to stay overnight in the Finnish Capital on the outbound sector. We can arrange for you to spend longer in Helsinki to experience this beautiful city during winter. Fly to Rovaniemi. On arrival join the coach transfer to Ruka centre (journey time 2 hours 30 minutes), then change transfer to your accommodation. Time to relax before your evening meal. Later take a stroll outside keeping watch for the aurora or warm up in the sauna. 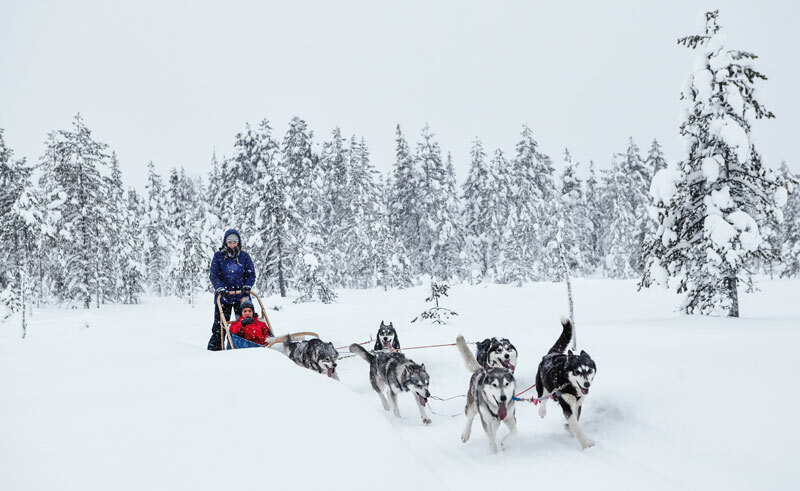 After breakfast each day, take your pick of optional activities such as snowmobiling, husky sledding, snowshoeing and a visit to a reindeer farm. Some can be combined in a single tour. Try out the ski slopes and relax in the sauna back at your accommodation. Following breakfast, join the transfer to Rovaniemi airport for your onward flight home. 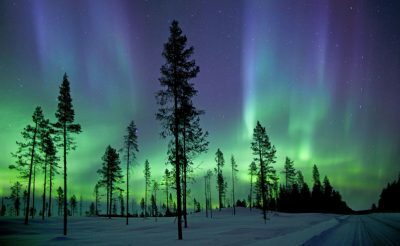 The above itinerary is based on a 4 night stay, but a longer duration allows you the chance to take part in more winter activities and more opportunities for Northern Light sightings, please speak to our travel specialist for details. 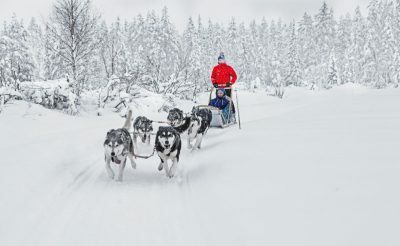 You are transferred by car to the husky farm, where after meeting these eager dogs and receiving instructions on how to drive your very own dog sled team. Experience the breath-taking scenery of the Kuusamo and Ruka region! Here is an excellent opportunity to have a go at two different and equally thrilling means of transport. This long full day safari gives you memorable moments both at winter dusk or in the bright spring sunlight. 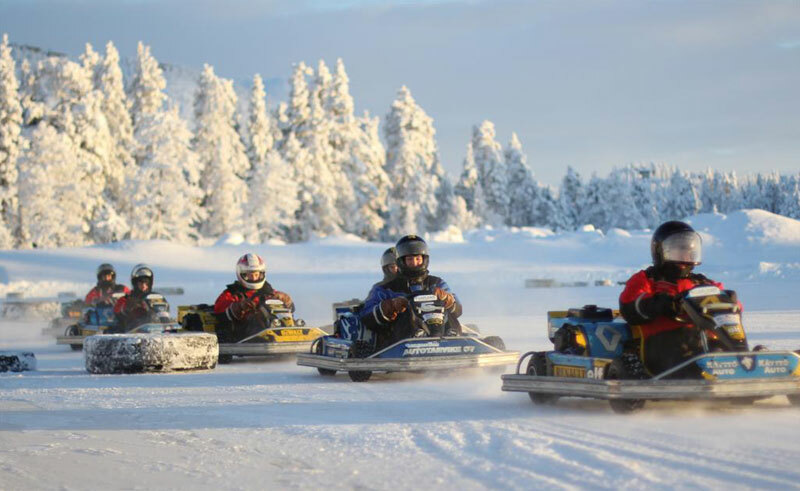 Experience the breath-taking scenery of Ruka! 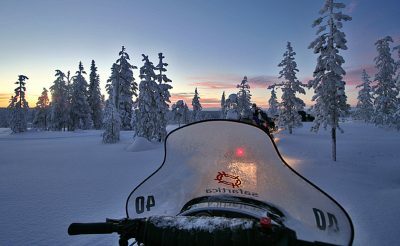 When the night falls hop on to the sled behind the guide's snowmobile and take a ride into the dark night in search of clear skies and bright stars overhead. Take a transfer to Pyhavaara and then hike using the snowshoes to the top of Pyhavaara Fell for a clear view towards the northern sky. After getting equipped for the trek you take a transfer to the starting point for the trail. After getting equipped at the safari office you take a transfer to Oulanka National Park, which is known for its impressive landscapes and waterfalls. After a safety briefing and instructions on how to drive a snowmobile, you start the engines and drive into the dark night in search of clear skies. 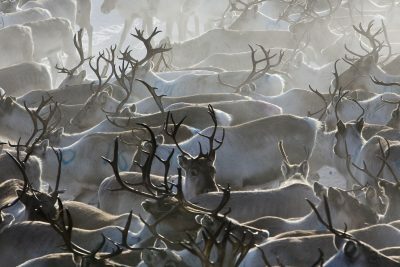 You will learn about the life of reindeers and herding and then go on a 300m sledge ride pulled by one of these arctic animals.